From the streets of Brooklyn to the height of fame, Jersey Boys tells the story of Frankie Valli and the Four Seasons, their musical legacy, including Big Girls Don’t Cry, Walk Like A Man, Can’t Take My Eyes off You and Working My Way Back To You is showcased in this musical biopic. Rising from humble beginnings to major success, the boys bond, bicker and battle their way to become one of the most successful groups of their generation; but their success comes with a background of prison time, heartbreak, family problems and the testing of loyalty. With a number of musical biopics doing the rounds, what makes Jersey Boys stand out from the crowd is that it not only has an interesting story, but it boasts a narrative which doesn’t shy away from the darker moments of the group’s story; and all of this is neatly packaged into a show which is surprisingly fast paced and has a slick and polished production. But the story has heart, and underneath the sequined jackets and the boys bravado is a story about friendship, loyalty and about making those around you your family. What leads this tour to stand out from previous tours is the excellent on stage chemistry between the four leads. Their harmonies are excellent, their timing impeccable and their dance moves simple but tightly performed. Michael Watson as Frankie Valli hits his falsetto highs with ease, whilst Simon Bailey steals the show as the motor mouth Tommy Devito, filling his character with a cocksure swagger and an over confident arrogance; which is nicely juxtaposed by Lewis Griffith’s subtle underplaying of the role of Nick Massi. Whilst the music takes centre stage, and the 33 musical numbers come thick and fast, the attention to detail stands out. The supporting cast, the costumes, the trademark choreography, the lighting and the live orchestra all added to the rounded production values of the show. 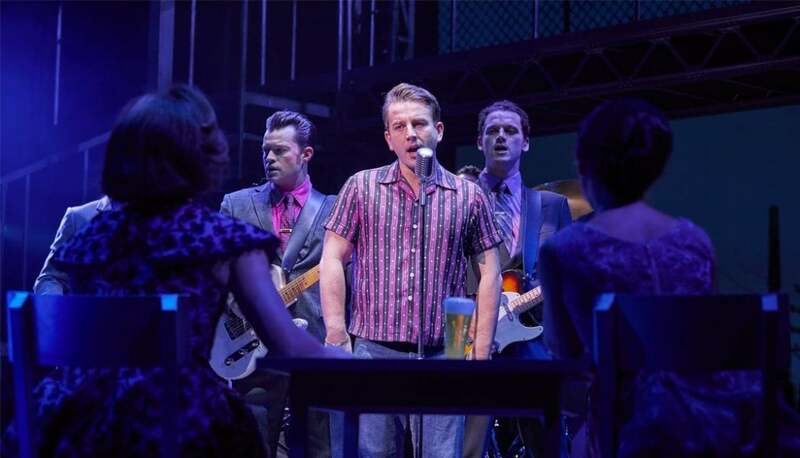 Despite its gritty backstory, the show remains a foot stomping, singalong, feel-good affair, which encapsulates the spirit of the group and effortlessly brings the audience to their feet as the curtain falls. Jersey Boys is playing at the Sheffield Lyceum Theatre until the 30th June 2018 before continuing on its national tour.